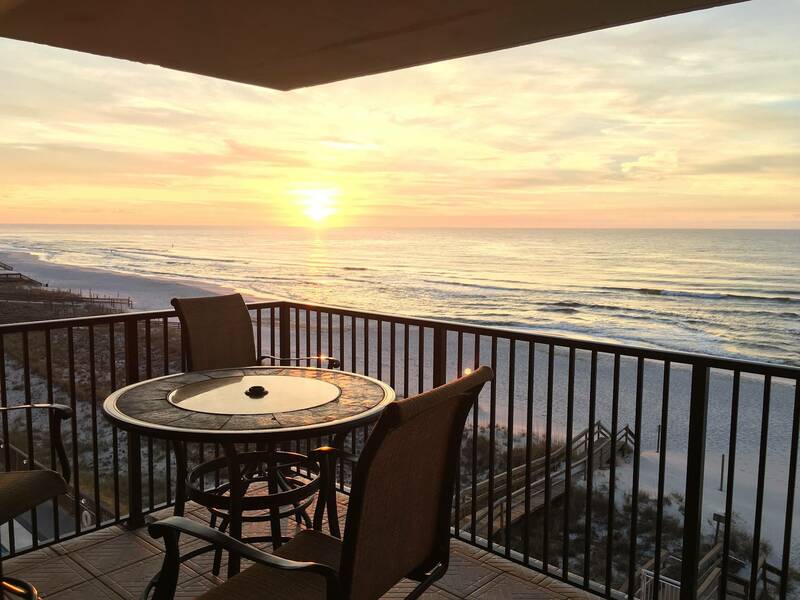 Welcome to The Beach Rose in Perdido Key, FL--Ocean Breeze East 501! 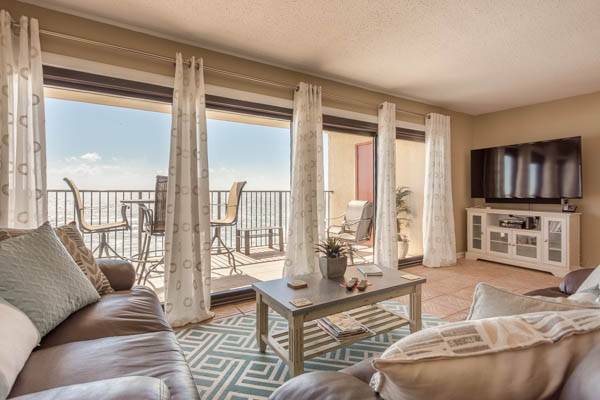 Views are breathtaking from this spacious 3 bdrm/2 bath beachfront corner unit. Click Online Booking for Quick Instant Quote! 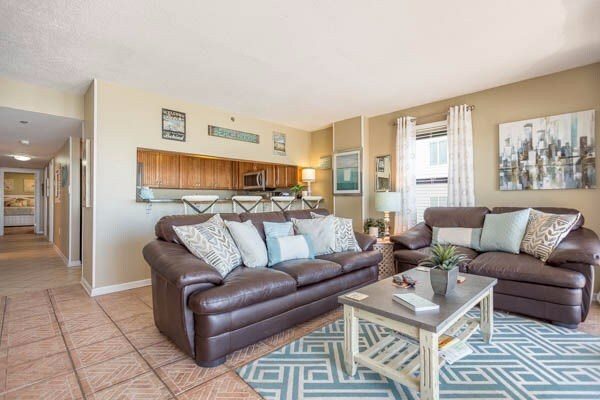 The Beach Rose," or La Plage Rose in Perdido Key, Florida, is a spacious three-bedroom, two-bath, corner beachfront unit at Ocean Breeze East Condominiums, part of a development that was featured on HGTV’s “Beachfront Bargain Hunt”! The views from inside the unit are spectacular! Enjoy a stunning sunrise and watch the dolphins play. Relax with a glass of wine as you view beautiful sunsets from your private gulf-front terrace. Sixteen feet of windows in the living area let you appreciate the magnificent coastal view in all its glory. The condo features direct access to a heated pool and white-sand private beach, both just steps away. The Perdido area is known for its quiet, peaceful setting, yet it offers easy access and is close to everything--the excitement of a historic Pensacola downtown, Orange Beach, and Gulf Shores. 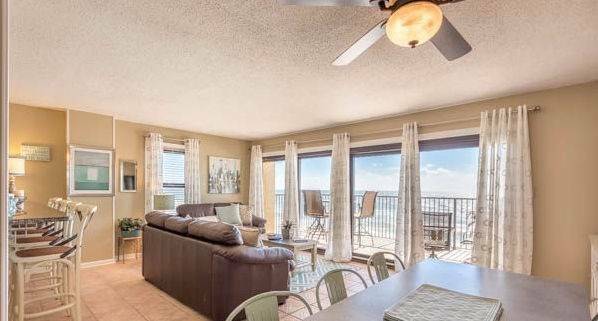 This condo is just 5 1/2 miles east of the FlorBama and the Orange Beach line and a mere 1/4 mile west of Gulf Islands National Seashore and Johnson Beach State Park. It is an easy ride to the NAS Pensacola Naval Base and its world-renowned museum, and the Navy's famous Blue Angel Flyers can often be seen buzzing over the beach! With its many upgrades, this privately owned vacation home comfortably sleeps up to 6, including adults with children. A large gulf front terrace faces the beach and is accessed from the living area. A second terrace is off the Master Bedroom suite in the rear of the unit. The living room is fully equipped with a 60-inch flat panel Smart TV with cable and a Smart DVD player. The cable package includes several sports and movie channels and in the winter offers all major NHL hockey games through inclusion of Center Ice Package. Guest rooms are also equipped with flat panels, cable service and Smart DVDs (NetFlix, Amazon, Pandora, etc.) The unit offers wireless internet throughout. The kitchen, featuring state-of-the-art stainless steel appliances, granite counters, and a breakfast bar that comfortably seats six, is fully stocked with drip/Keurig coffeemaker, cookware, bakeware, dinnerware and flatware. Also featured is an enclosed laundry room with full size washer and dryer. The spacious private Master Bedroom Suite offers a king-size bed/sitting area, ensuite bath, and sliders leading to private outdoor terrace. There are two additional guest rooms with king-size and queen-size beds, respectively. The Living Room features a queen-size pull-out sleeper sofa for additional sleeping space. Ocean Breeze East is within two miles of a major supermarket and is a short walk away from shops, restaurants and bars. It is within walking distance to Johnson Beach State Park and the stunning nine-mile Gulf Island National Seashore. The Naval Station NAS Pensacola, home to the Navy's famous Blue Angels and Naval Air Museum, are both close by and sure to keep the family busy on an unusual rainy day. Historic downtown Pensacola, a short ride away, offers gorgeous architecture and award-winning restaurants, shops, galleries, and bars. The downtown holds monthly gallery nights and other fun-filled events for the entire family. Now is the perfect time to book your vacation in Paradise! You will not be disappointed! 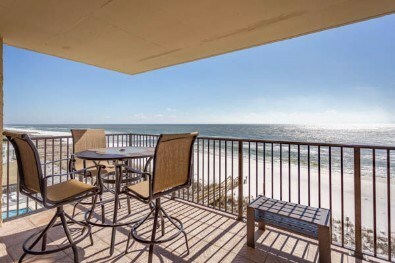 Reserve The Beach Rose in beautiful Perdido Key, Florida, today! This resort complex allows one parking space per rental. If additional space is needed please let us know. The Beautiful Beach Rose in Perdido Key, Florida!